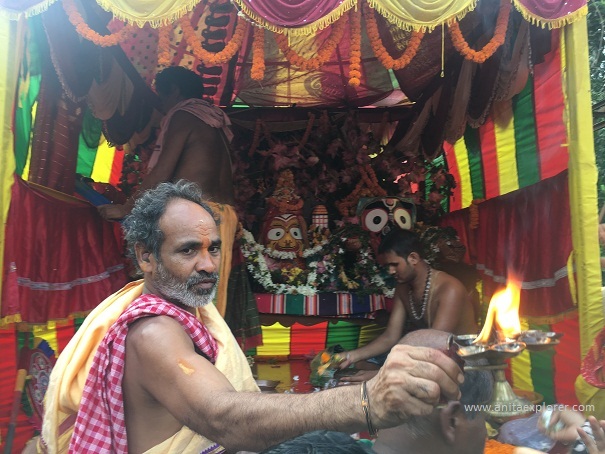 Ratha Jatra i.e. Rath Yatra, is a centuries-old festival of Odisha that is celebrated all across the world. One of the four holiest places of India (Dhaam) is Puri in Odisha where the Shree Jagannath Temple is located. 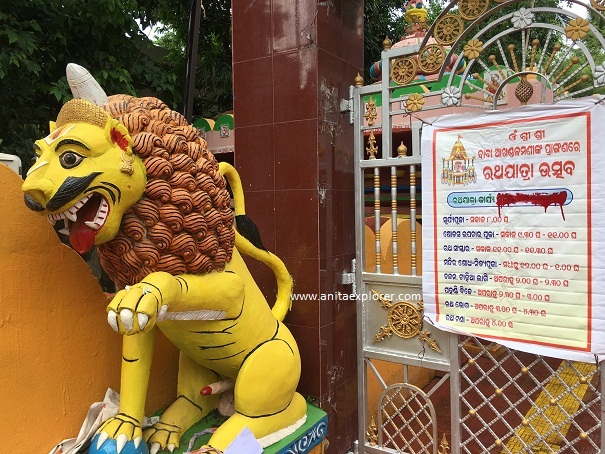 In Odia language, 'Ratha' means Chariot (Car) and 'Jatra' means Festival. Thus, 'Ratha Jatra' means 'Chariot Festival' or 'Car Festival'. 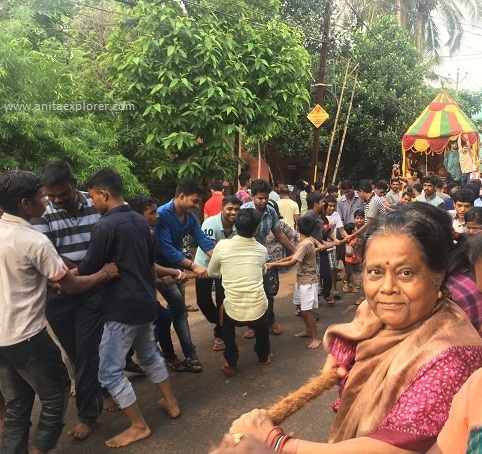 In Odisha, every locality has its own Ratha Jatra(s). The capital of Odisha, Bhubaneswar, is also called the 'Temple City' because of its hundreds of temples. I participated in the Ratha Jatra at the Sri Sri Baba Akhandalamani Temple in Sahid Nagar at Bhubaneswar yesterday. 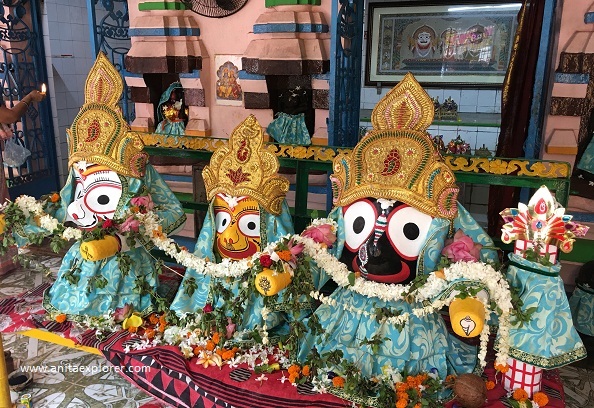 Though in Puri and in many places, there are three Rathas, smaller temples have a single Ratha for the four deities. One must experience Ratha Jatra Utsab to know the effect on one's senses. I always feel very fortunate to experience such divinity and bliss. Devotees concentrate on the eyes of the Lord. In Odia, it is said that Lord Jagannath's "round eyes see everything". The Lord has many 'Besha' - that means attire. "ରଥସ୍ଥଂ ବାମନଂ ଦୃଷ୍ଟା ପୁନର୍ଜନ୍ମ ନ ବିଦ୍ୟତେ ।"
Meaning- After seeing the Lord in 'Bamana' form on the Ratha, there is no rebirth. Note- 'Vamana' is one of the Dusavataar of Lord Vishnu. 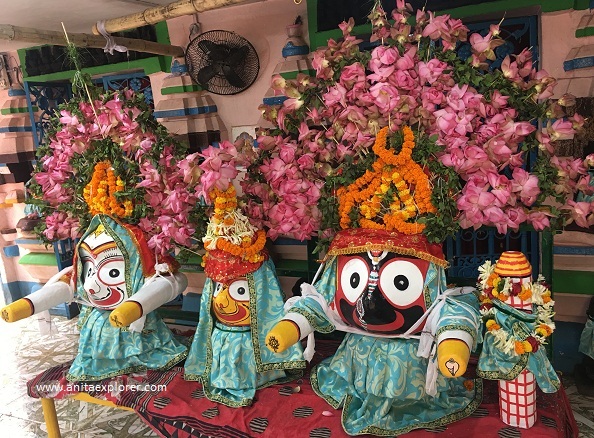 Lord Jagannath appears in the form of a Bamana (dwarf) on the Ratha. 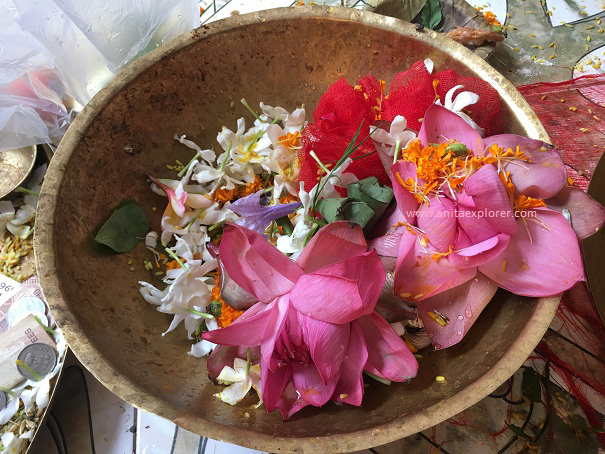 The fragrance of fresh sandalwood, Tulsi leaves, flowers, clothes, sweets etc spreads like magic in the air. The smell of divinity is awesome. 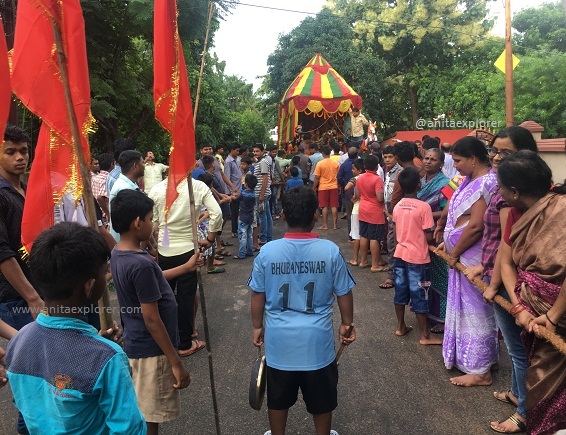 The cymbals and other musical instruments and the voices of the devotees with chants like "Hari Bola" and "Jai Jagannath" reverberate in the air. There are many bhajans dedicated to Lord Jagannath. The unmistakable festivity is evident when the wheels of the chariot(s) roll. I heard the voice of my neighbour aunty. She wanted me to click her photograph. You can see her at the extreme right in the above picture. Ratha Jatra is a festival of friendship, equality and unity. There are no barriers of religion, caste, creed, nationality, gender etc as lakhs of people participate in this festival. The festival can touch even its staunchest critics. The sense of touch plays a great role. People want to touch the chariot and even the rope that is used to pull the chariot(s). When have you last touched anyone with your smile? One gets a taste of awesome Odia food- sweets and treats during Ratha Jatra. I love the 'Panchamrita' - that means 'Five Amruta' i.e. Five Nectar. It is a delicious mixture of Curd, Honey, Ghee, Jaggery and Milk - each in equal proportion. It is a regular offering in most festivals. 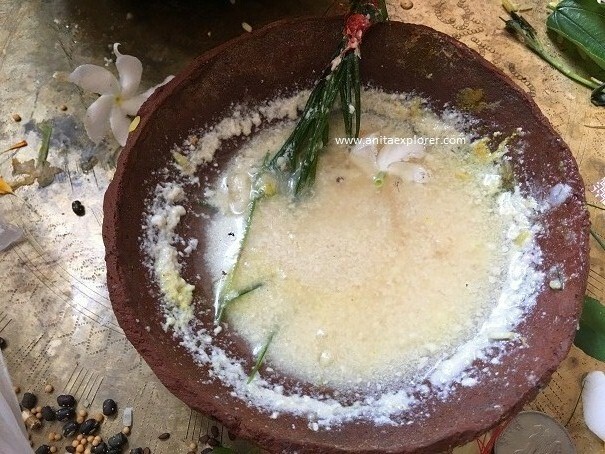 Hundreds of dishes are offered as Mahaprasad at Shree Jagannath Temple at Puri. Every festival and celebration in Odisha has treats that taste awesome! As per centuries-old tradition, Rasagolas are offered on Niladri Bije, the last day of the Ratha Jatra. 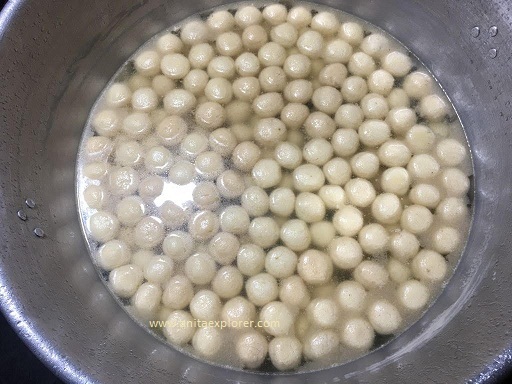 This year, #RasagolaDibasa is on July 25. "Imagine you are forced to give up one sense. 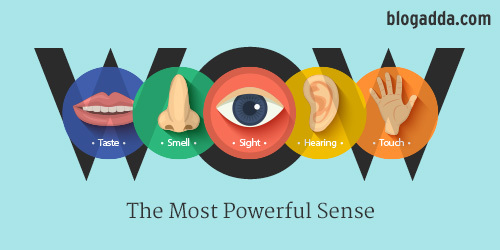 At the same time, you can ensure one of your other sense becomes doubly powerful or sensitive. 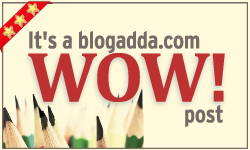 For today’s WOW prompt, write about ‘That one sense you are willing to give up in exchange of the other getting double the power’. Do mention clearly about both the senses and the reason for the choice." 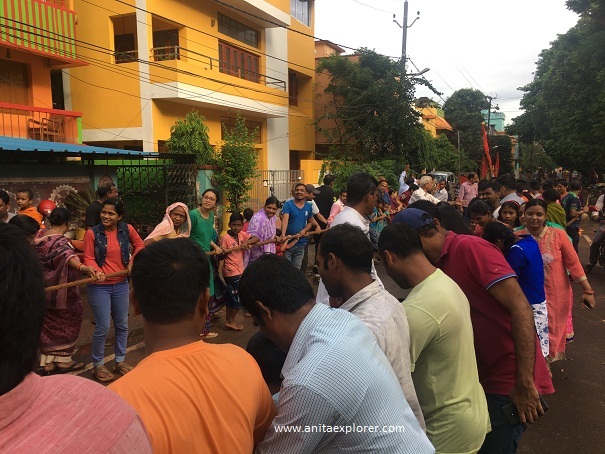 This week's WOW prompt was on my mind when I celebrated Ratha Jatra yesterday on 14th July 2018. I felt so blessed to enjoy Ratha Jatra thanks to all my five senses. I am really grateful to the Lord of the Universe, Lord Jagannath, for giving me an opportunity to experience the magic of His Universe. I don't choose to sacrifice any of my senses in exchange of one sense getting double the power. Life is beautiful the way it is. Have you taken part in Ratha Jatra in your city? Watched it on TV? The ambiance of the festival captured beautifully in pictures and words. Very beautifully expressed,good to know the celebration there with the apt. captures and video. Excellent post to bring the true feel of the festival to those less fortunate who are unable to see in person.Thanks a lot. Such a beautiful post capturing the essence and fervor of the festival. I just learned that the word Juggernaut is derived from Lord Jagannath. A divine experience! Enjoyed Ratha Jatra from your narration and photos. Agree you that we should be thankful for gifting us with senses that help us experience every day magic.